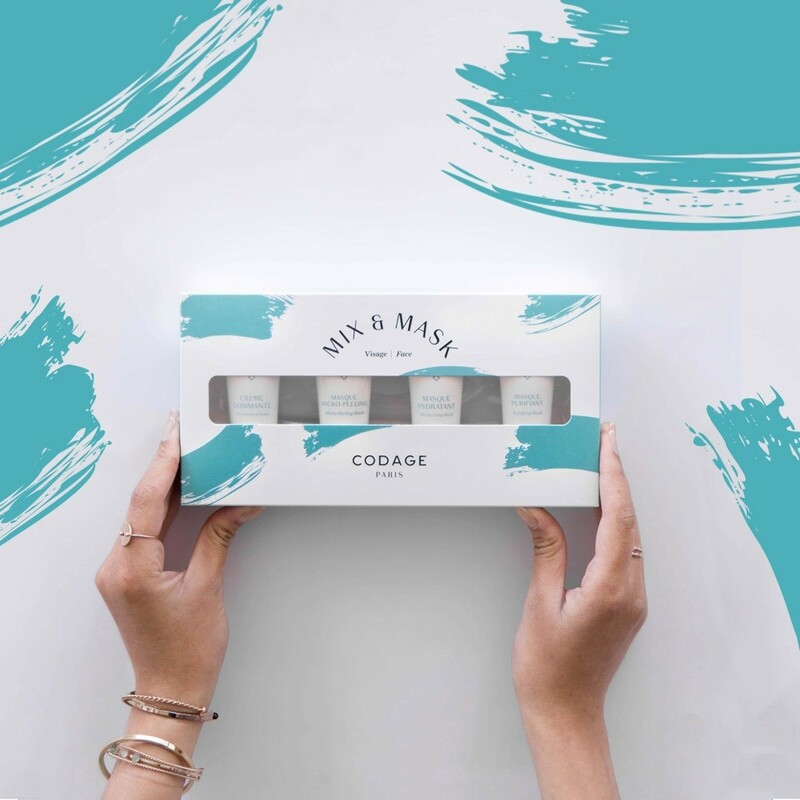 The MIX & MASK set is composed with the full range of CODAGE Facial Masks in 15 ml, a quantity that represents at least 1 month of use per product, to offer your skin an optimal cleansing and to answer different skin concerns at the same time. Reinvent your weekly beauty routine with this targeted skincare which reboots the skin in a few minutes with an exfoliating, moisturizing, purifying and peeling action! Combine masks to precisely match your skin needs. The high-precision professional CODAGE brush is OFFERED in this set to provide an expert, delicate and practical application of the masks!